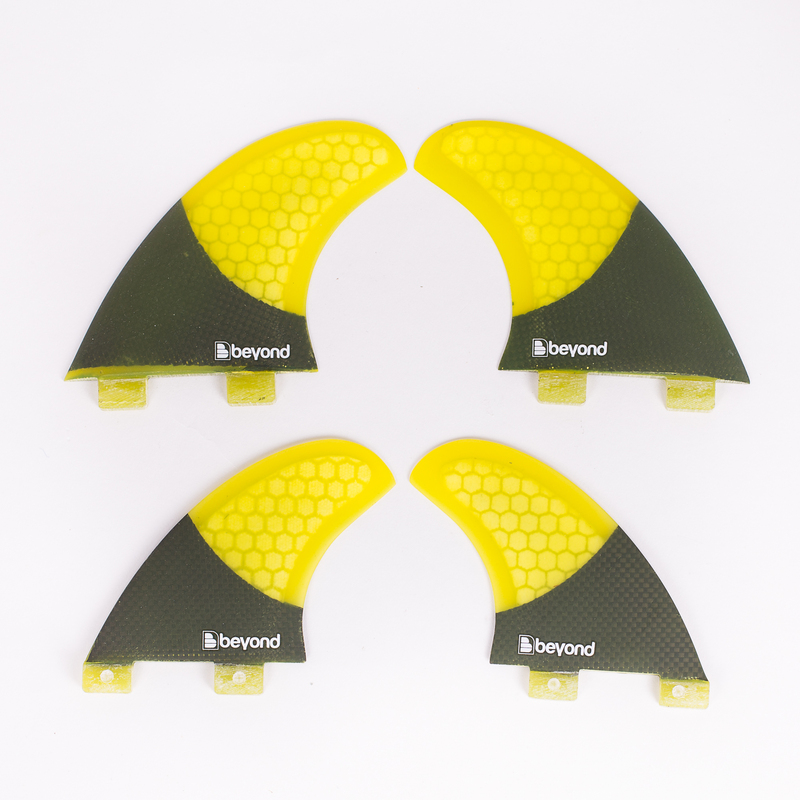 Beyond Honeycomb Quad Carebon/Hex Set - FCS compatible fins. The Beyond® Quad Set features foil on the side fins and 50/50 foil on the rears. Reliable, and stable at high speeds, the full tip area across all fins provides quick acceleration and response. CONSTRUCTION – Performance Honeycomb Carbon/Hex design. SIZE – medium BASE – 95 mm. HEIGHT – 115 mm. RAKE – 31. CONSTRUCTION – Performance Honeycomb Carbon fibre.